The Marlon 350 is an industrial strength plastic spiral coil closer. This machine is ideal when you are closing hundreds of books a day. 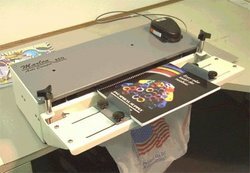 We use this machine at our own bindery with excellent results. Should you require any assistance or further information, please do not hesitate to Contact Us.